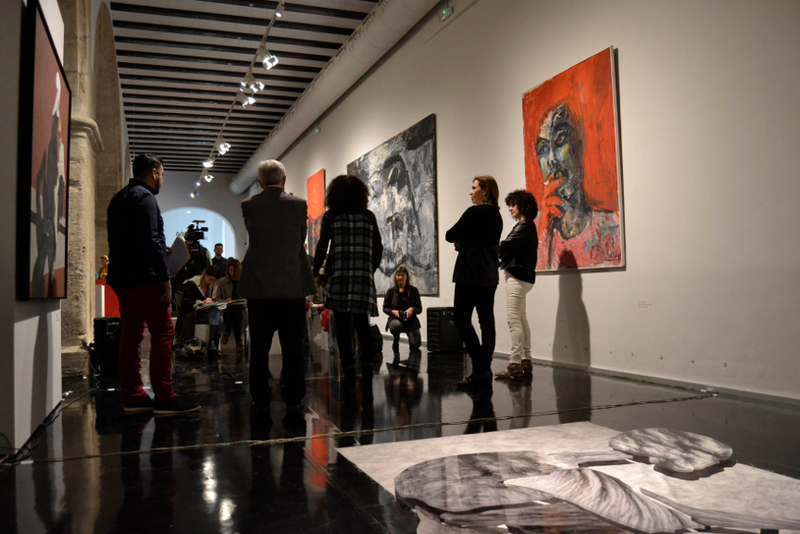 This exhibition results from the election of a set of works from Vicente Aguilera Cerni Contemporary Art Museum (Vilafamés). It shall be displayed in Academia Room of La Nau Cultural Centre (Valencia). Vicente Aguilera Cerni Contemporary Art Museum has more than 40 years of trajectory, holding an artistic representation focused on the last years. Therefore, works of the last avant-gardes form part of this museum (Pop-Art, Kinetic Art, Op-Art, Minimal Art, Povera Art, Conceptual Art, Hyperrealism, etc.). The election of the set of works was a difficult task due to the versatility of this collection: a huge variety of topics, styles and techniques. As a consequence, only 23 works have been chosen for this collection - a minimal representation of the total amount of works. This collection is organised depending on topics instead of time periods. A sequential order responding to the intrinsic reasons, according to which they are placed in a concrete place and position in the room. LLUNY DEL CÀNON Exhibition Vilafamés Museum offers a set of works from its collection of several techniques, topics and artists which allow us to travel from one place to another - conceptually, temporally and stylistically. In conclusion, an artistic proposal intended for this exhibition as sample of a vast collection, aiming to bring to Academia Room of La Nau the essence of Vilafamés Museum. Sundays and public holidays, from 10:00 to 14:00. AUGUST: From Tuesday to Sunday, from 10:00 to 14:00.